The CRMPB sent archaeologists to assess the discovery. When they arrived, it was clear to the archaeologists that a historic roadway had been found. In the past, it was common to use logs as a road surface, in particular during the Civil War when high traffic in the area mucked up what had been dirt roads. 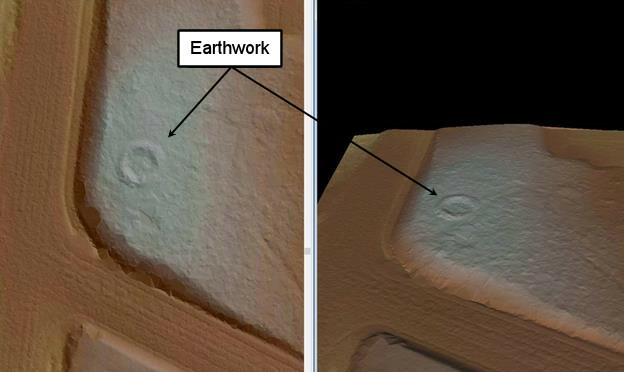 The archaeologists took numerous pictures and devised a plan to properly record the site. Both CRMPB and UDCD staff coordinated so that no important archaeological information was lost and so that the improvement project could continue with as minimal an impact to the construction schedule as possible. At the end of the day Atkins secured the site and placed a steel plate over the trench, both for public safety and to protect the logs. However, the need for cooperation did not end there. The project was being conducted within an easement held by the Virginia Department of Transportation (VDOT). 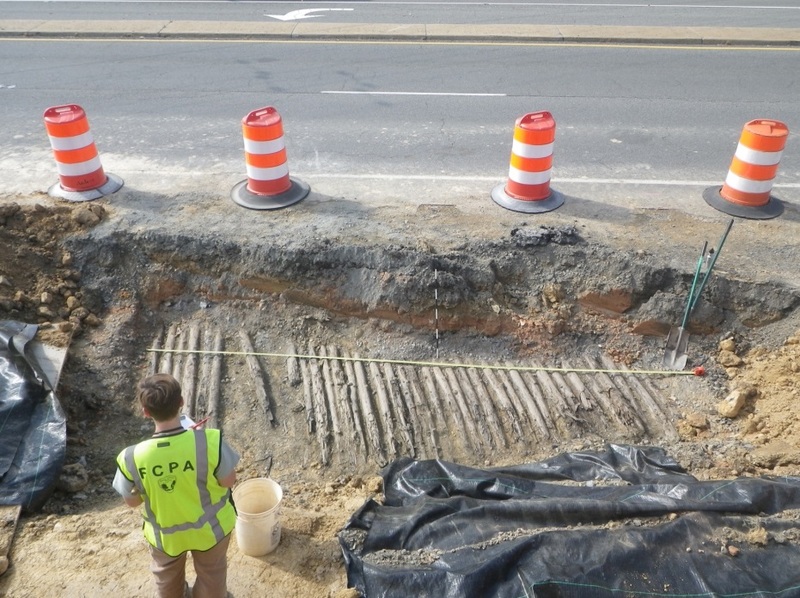 In order to conduct archaeological investigations on state-controlled property it is necessary to first receive a permit issued by the Virginia Department of Historic Resources (VDHR). The acronym soup was getting thicker, now requiring coordination between CRMPB, UDCD, VDOT, and VDHR! CRMPB archaeologists provided VDHR with the work plan and submitted the permit application; as the easement holders, VDOT would have to agree to plan and co-sign the permit. All the agencies involved moved with remarkable speed and efficiency. Within 48 hours of submitting the application, CRMPB received the permit. Upon receiving the permit, CRMPB merit and limited term staff drew a detailed map of the logs by hand to permanently record this resource. Then, they attached two numbered plastic tags to each log. Storm water management for the improvement project called for installation of a pipe below the grade of the historic, Civil War period road surface. Instead of removing the logs mechanically, they were saw cut. After the pipe was installed, the trench was backfilled to the level of the log road. Tagging had allowed for the placement of each cut end back along its corresponding log. Then the trench was backfilled to present-day grade. However, this was only part of the preservation process. CRMPB archaeologists also used a surveyor’s total station to record the historic road surface in three dimensions within millimeter accuracy. Assistance from yet another agency was again necessary. The Fairfax County GIS department is processing high definition LiDAR data to create very fine topographic maps of the entire county. At CRMPB request, the GIS department processed the data in the vicinity of the project area. This imagery clearly shows the remains of a Civil War circular fort that had served to protect against enemy movement along the historic roadway. 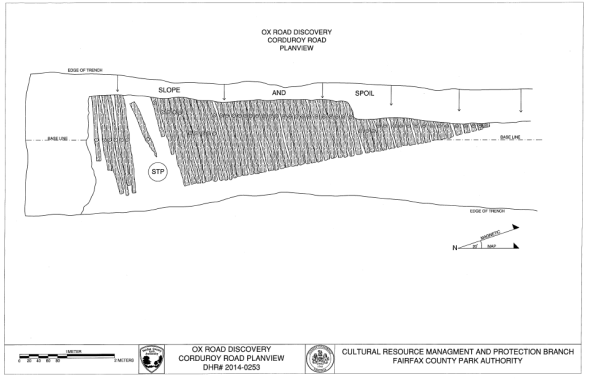 Combined with the information recovered about the log road and other, now long-gone, Civil War encampments and fortifications in the area, the hope is to virtually reconstruct the historic landscape of this area, providing a better understanding of Fairfax County’s Civil War history. None of this would have been possible without the remarkable and expedient coordination between county and state agencies from the moment of discovery though reburial. When the CRMPB archaeologists left the site, we thanked Ken for saving this piece of the past. “It’s all about teamwork,” he said. How true that is. Author Christopher Sperling is the Senior Archaeologist with the Fairfax County Park Authority. 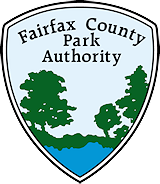 This entry was posted in Uncategorized on November 27, 2015 by Fairfax County Park Authority. Was there a Carbon-14 test taken of the logs or a dendrochronology test done to know for sure that this is a Civil War road? Was the entire areal extent of the road found or was a portion of the old road left under the current highway? While the cooperation between state agencies are appreciated, it’s unfortunate to lose this great example of the road system during such an important part of American history. C14 dates wouldn’t work–this road was too recent for enough carbon to have decayed to get a date. I’ll bet the spirit of John S. Mosby was in the air and smiling.